Please accept our warmest Christmas wishes, have a safe and enjoyable holiday season. Do you have questions about your will? Do you even need a will? 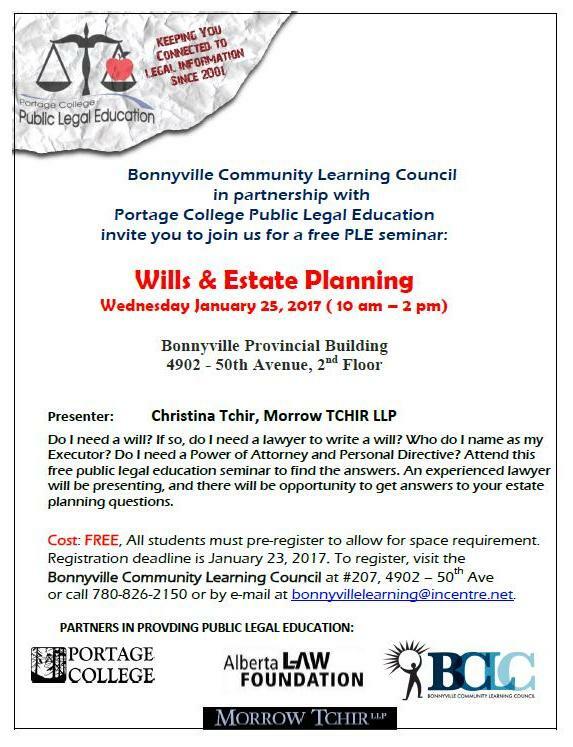 Come to our Free public legal education seminar January 25 and learn about wills and estate planning from an experienced attorney. 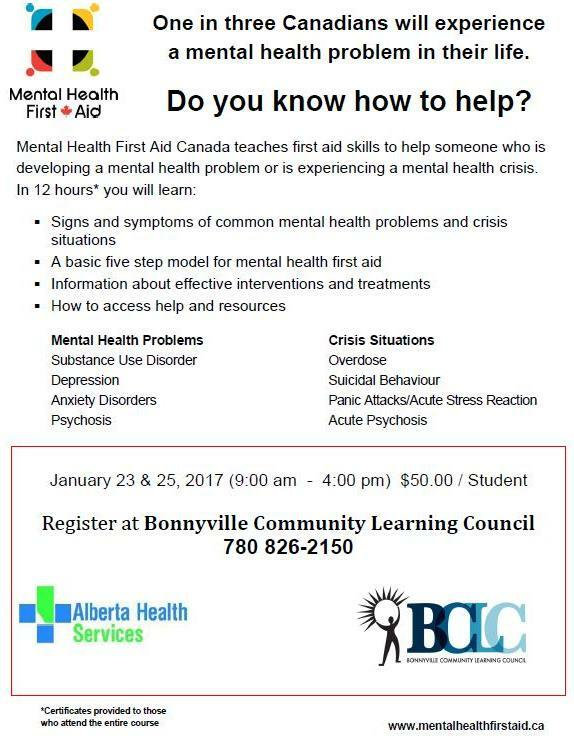 Call Bonnyville Community Learning Council to register, 780-826-2150. We are getting our classes ready for January 2017 and this one’s already full. If you or your agency would like to go on the wait list for Mental Health First Aid Training please call us. And watch for more new course announcements coming soon. 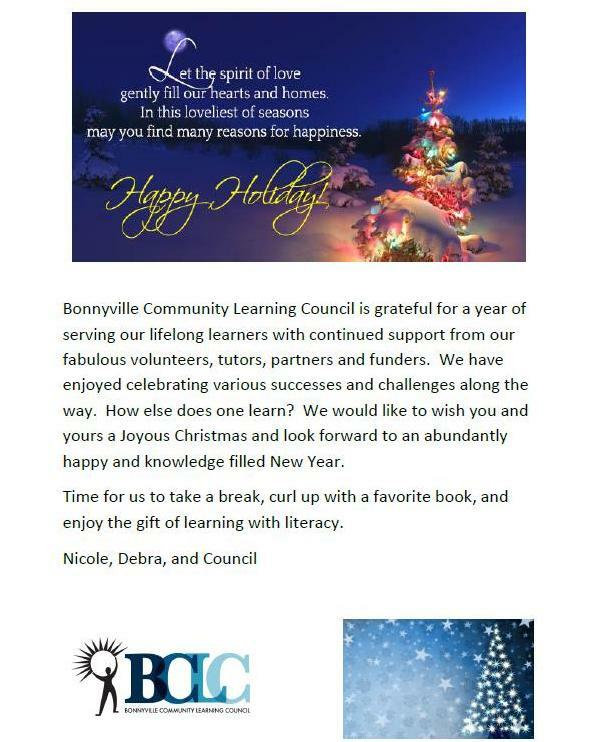 Bonnyville Community Learning Council, (780) 826-2150.